A game of Speed, Observation and Reflexes. Race to find the one matching image between one card and another. 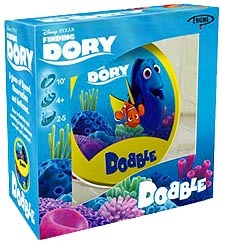 This box contains 30 cards, 6 images from the Finding Dory movie on each card and always only one shared image between any two cards.